#NOVEMBarh is a statement of social responsibility created by a proactive community of architects and supported by visionary partners and professionals involved. Architects bring different work experiences, reunited in 30 teams. Sign up now! #NOVEMBarh is the first hackathon for architects, which debuted in 2017 and became an annual event on the last Saturday in November. Now, at the second edition, #NOVEMBarh is the most dynamic laboratory of ideas and concrete initiatives of the architect community. Participants come from Bucharest, Iasi, Cluj, Brasov, Constanta, Tulcea and more. Reuniting in teams, around a concrete theme, architects share work experience from diverse backgrounds: design activity, materials supply, interior design, urban planning, public administration, corporate environment, academia, professional associations, and NGOs. Professionals in related fields are teamed with architects. Join us! The success of #NOVEMBarh 2017, "Architect's Challenges", resulted in the coagulation of a wider professional community beyond architecture. Directly related to the current state of the buildings and the built space, #NOVEMBarh deals with the current problems of architects in Romania through a multidisciplinary approach. The community started from the spontaneous initiative launched in 2017 in the Facebook group ARHITECTI ROMANI, with more than 4,000 members. The group supports the invitation to join the community and participate in a hackathon of colleagues in related fields - engineers, lawyers, entrepreneurs, financiers, insurers, psychologists, marketing and communication consultants, anthropologists and others. #NOVEMBarh brings all of them together as community partners and professional associations working in the field of architecture and construction. 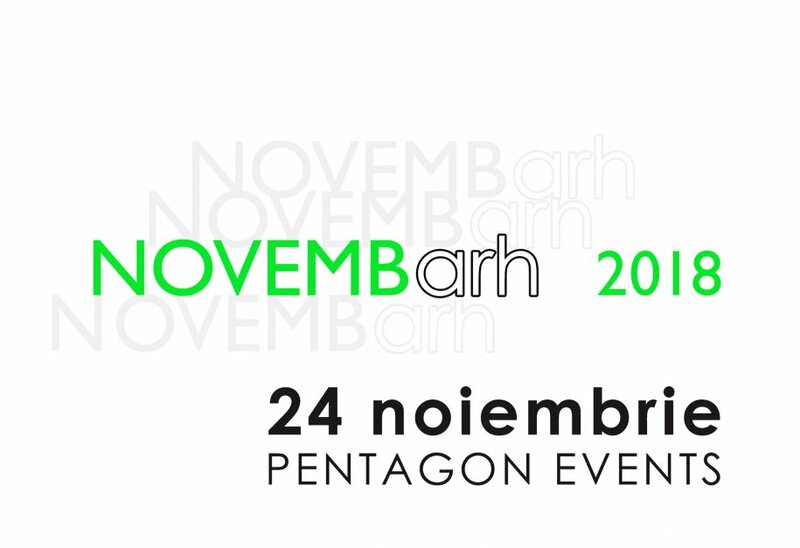 #NOVEMBarh brings to Romania an event format in which the representatives of the partner companies get involved directly in the architectural teams with their professional expertise, thus having a natural and normal networking experience. #NOVEMBarh is the interactive event based on the active involvement of each participant with well-defined and responsible roles. #NOVEMBarh creates the login context. It is the networking and co-creation marathon of architects and facilitates the development of ideas by architects, teamed with business coaches, affiliates, affiliate companies, and professional partner associates. Each #NOVEMBarh edition is for architects also a reflection opportunity at the end of the professional year. Complementarily, the beginning of the next year emphasizes interdisciplinary openness. Having a Construct Expo partner, the #reCONSTRUIM construction professionals summit will support the development of initiatives, with many other specialists from all over the construction field and beyond, in March 2019. We bring the professionals together, we build responsibly # reCONSTRUIM. #NOVEMBarh 2018 will end with the public support of initiatives and action projects by each of the 30 teams. From 8pm on November 24, the public invited to participate in the debates will be made up of representatives of authorities, universities, business environment, professional associations, partners. Join the #NOVEMBarh community team for team training and real-time information.